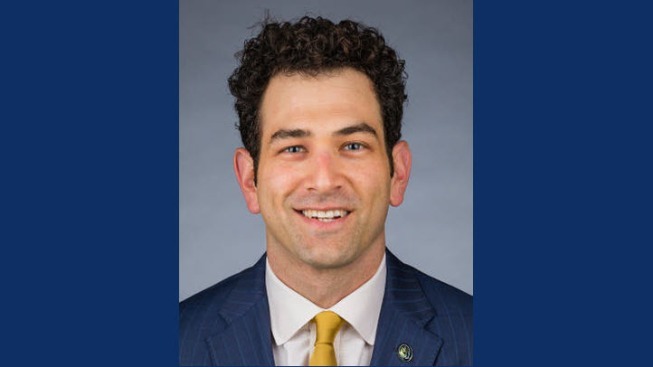 The assistant basketball coach at the University of California at Berkeley was fired after he allegedly violated the school's sexual harassment policy, university officials announced Monday. Yann Hufnagel will not be traveling with the team during its NCAA Men’s Basketball Tournament run, head coach Cuonzo Martin said in a statement. "It's a tough loss, but again we keep pushing," Martin said. The firing of Hufnagel comes after a six-month investigation into an allegation of sexual harassment. NBC Bay Area is told the alleged sexual harassment began last summer and the person who accused the coach is not affiliated with the school. Instead of celebrating the team's highest-ever NCAA Tournament ranking, Martin on Monday answered questions about Hufnagel's firing. "Individuals are understandably upset and we have to do better," said UC Berkeley spokesperson Janet Gilmore. "So there is a serious committed effort to do just that." This is the third such sexual harassment complaint to rock the University of California's flagship campus in nearly five months. Although university spokesperson Dan Mogulof had initially said the university would release a redacted version of the investigative report, once Hufnagel had been provided with a copy and had an opportunity to review the findings himself, Mogulof later sent out an email saying the university would not be releasing the report Monday. "The recently completed report was shared for the first time with the complainant this afternoon, who has asked that we delay release so that she has time to read its contents," Mogulof said. NBC Bay Area has made a Public Records Act request for a redacted version of the report. About an hour after news of his termination broke, Hufnagel's bio from the school site was taken down, and he tweeted: "Right now, the only focus should be on our basketball team! My time to exonerate myself of a fruitless claim by a reporter will come." And in an interview with ESPN, he said that no harassment occurred, and he was "crushed" and "blindsided" by the allegations. But early Monday morning, Hufnagel was tweeting not about his termination, but about his excitement for March Madness. Right now, the only focus should be on our basketball team! My time to exonerate myself of a fruitless claim by a reporter will come. The now-former coach was in his second season with the Golden Bears, according to his school bio. Hufnagel joined Berkeley following a season at Vanderbilt, where he was an assistant coach under Kevin Stallings. Prior to Vanderbilt, Hufnagel served four seasons as assistant coach at Harvard, where he helped lead the Crimson to the postseason each year, according to his bio. CBS Sports called Hufnagel "one of the most relentless and energetic recruiters in the game" in its 2012-13 College Basketball Preview and named him one of its nine "Dream Team" assistant coaches in college basketball. “The issue of how the campus communicates when investigations substantiate allegations of misconduct is among the issues that are being reviewed right now as part of a broader review to prevent and sanction misconduct,” Mogulof told the student newspaper The Daily Cal. Mogulof had previously said that the campus is currently handling 17 sexual harassment incidents, The Daily Cal reported. Sujit Choudhry, dean of the UC Berkeley School of Law, resigned just last week after his former executive assistant filed a lawsuit against him. The assistant, who said Choudhry repeatedly kissed and touched her, alleged in the lawsuit that her boss received only a temporary pay cut and orders to undergo counseling after a campus investigation substantiated her claims. In a statement provided by Berkeley, Choudhry said he disagreed with the allegations but could not comment further. Nearly five months ago, a prominent astronomer at Berkeley, Geoffrey Marcy, resigned amid a national outcry over revelations that the school had substantiated sexual harassment complaints from former female students without demoting or suspending him from his job. University of California President Janet Napolitano said Friday in a letter to the system's 10 chancellors that officials must ensure substantiated cases of sexual misconduct be dealt with "firmly, fairly and expeditiously and that appropriate sanctions are imposed that recognize the serious nature of these claims." She announced a new systemwide committee to review and approve all proposed penalties for high-level administrators who violate sexual assault and harassment policies. She also ordered all chancellors, provosts, vice chancellors, vice provosts and deans to complete sexual assault and harassment training by March 25. "This issue is critically important to the University of California, and to me personally," the former Homeland Security secretary and Arizona governor wrote in the letter. "At a minimum, our employees are entitled to come to work without fear of sexual harassment or sexual violence."